XLPE means cross-linked polyethylene or vulcanized polyethylene. The basic material is low density polyethylene. Polyethylene is a thermoplastic material consisting of long chain of hydrocarbon molecules. At elevated temperatures these molecules tend to move relative to one another so that the material becomes increasingly deformable and will eventually melt at the temperature around 110oC. By means of process similar to the vulcanization of rubber the polyethylene molecules can be cross-linked. The process of cross-linking or vulcanization consists of producing chemical bonds at interval between the long molecular chain to give a “ladder” effect which prevents slippage between molecules. As a result of cross-linking the material becomes heat resistant and does not soften at higher temperatures. Further it has better resistance to stress cracking and good resistance to ageing in hot air. With the change of structure there is no adverse effect on electrical properties. Dielectric losses are very small. Higher short circuit rating 250oC. as against 160oC for PVC. Avocab XLPE can retain flexibility down upto – 40oC. Jointing and Termination is easy. They are not prone to fatigue damages due to vibrations or loading cycles. Has better resistance to most chemicals, oils, acids, etc. 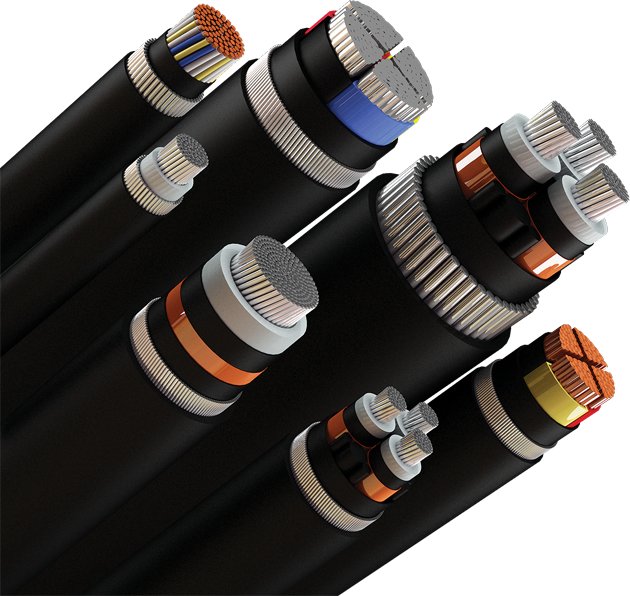 Can be installed along cable routes without elevation limitations.